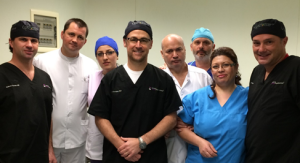 The NuVasive Spine Foundation™ has been supporting an educational and clinical mission to Bucharest, Romania, for the past three years, through the efforts of Dr. Gabriel Tender. The first impression upon landing in Bucharest is that this does not look like a standard mission trip; as a city, Bucharest is an attractive European city with incredibly historic architecture. In preparation for the visit, I was speaking with a former president of the Scoliosis Research Society (SRS) who was born in Egypt, medically trained in Canada, and practices in the Midwestern United States. He has traveled the world, led numerous mission efforts on behalf of the SRS Global Outreach Committee, and he made a comment that resonated with me: “The need and poverty of Eastern Europe should not be underestimated”. 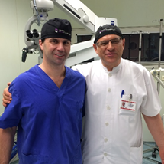 Dr. Daniel Serban, the director of the Neurosurgery Spine Department at the Bagdasar Emergency Hospital, was our host and has worked with Dr. Tender for many years. They go back to their neurosurgical training days, when the former was a young attending and the latter was just finishing his training; they are clearly strong colleagues and friends. The main focus of these mission trips has been education of MAS® (Maximum Access Surgery) less disruptive spinal procedures to serve patients in need. NuVasive and the NSF donated a MaXcess® III Access system three years ago. It was a wonderful experience to see firsthand the delivery of education in all the MAS procedures. In our three-and-a-half days of surgery in one operating room, we completed seven cases including: two MAS lumbar decompressions (facilitated by MaXcess III Access system), two MAS TLIF procedures, two XLIF® (eXtreme Lateral Interbody Fusion) procedures and one lumbar spine tumor resection. When I explained to Dr. Serban that NSF raises money from our Shareowners and partners to support patient care, he nodded in agreement and understanding. On our final day, the entire team (O.R. staff and neurosurgery faculty of seven surgeons, including Dr. Serban) were all overwhelmingly generous with their gratitude to the NuVasive Spine Foundation! It really made me proud of what we do.